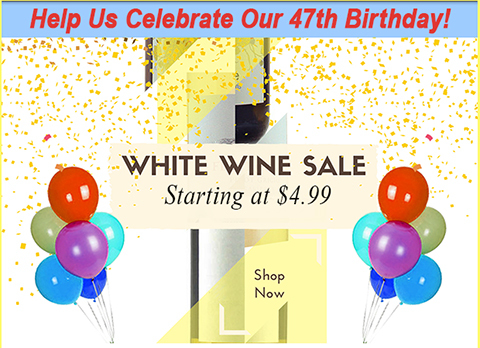 Let's rock this Birthday Bash with a huge white wine sale. White wines are part of the woven fabric of wine appreciation. There are so many interesting, complex white wines from around the world&hellip;and every time I hear someone order Rombauer Chardonnay...it makes me shiver...particularly when there are such great wines as the wines I chose for this sale. Have at it...I went into the warehouse and picked some of the greats back there...and here they are: $4.99, $7.99 and $9.99. Offer Expires Wednesday night, May 30th at Midnight.